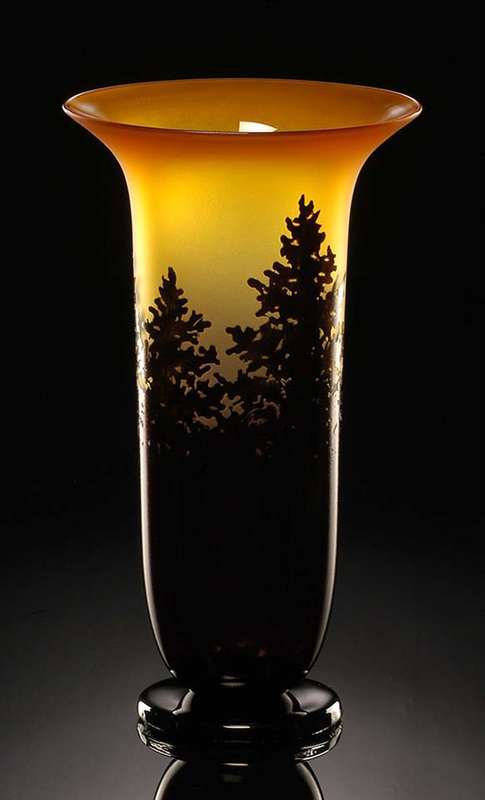 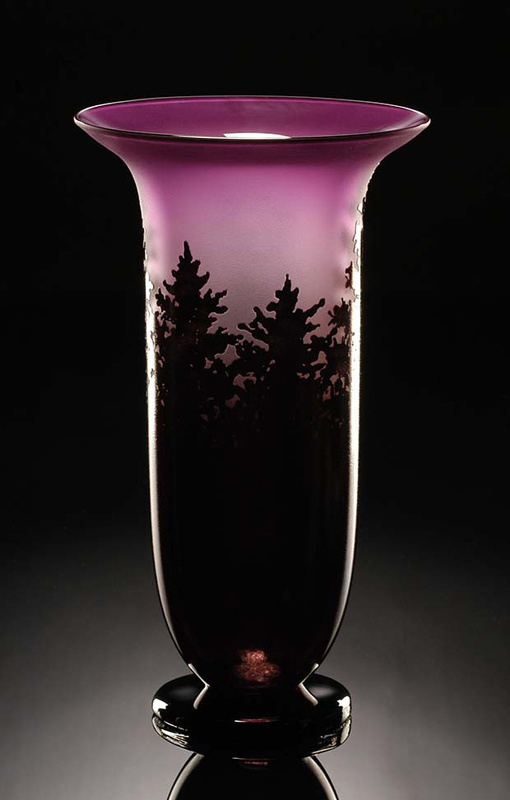 Bernard Katz was inspired by the pine forest surroundings while living in the Pacific Northwestern part of the United States. 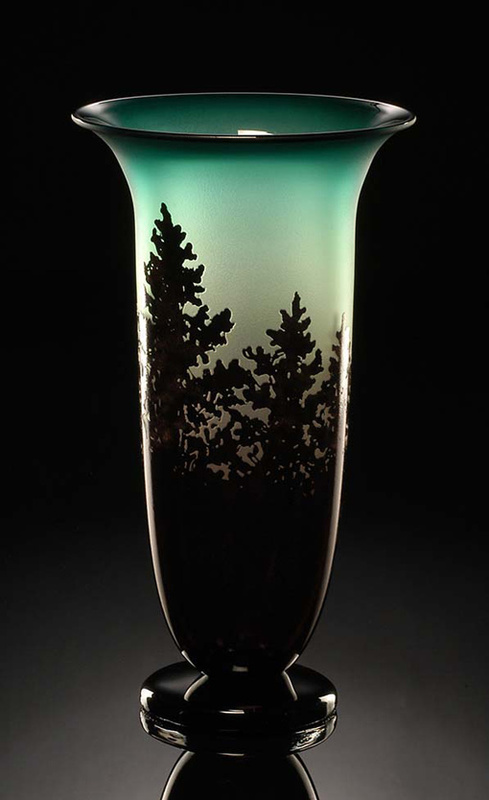 The trees in the distance appeared to have a silhouette quality when view at dusk. 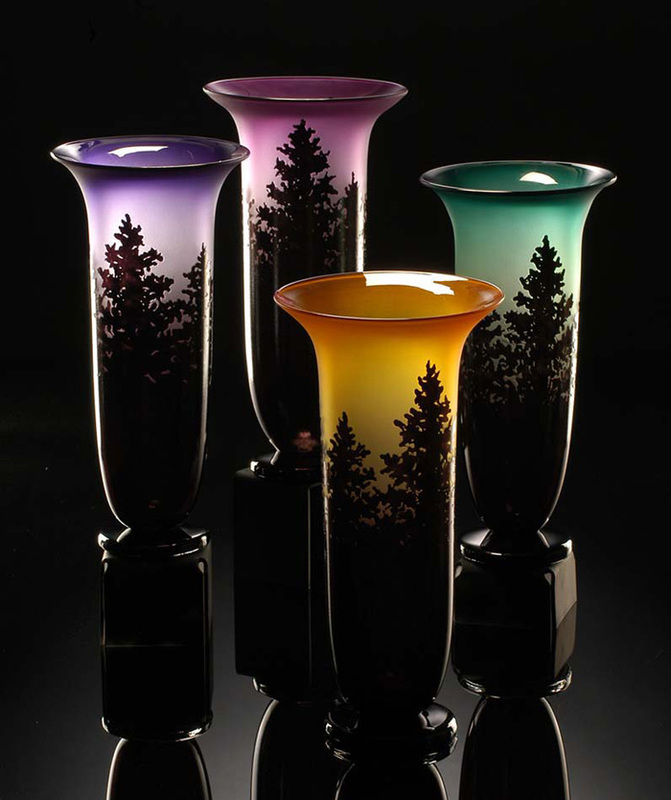 Each glass vase is hand blown and extensively cold worked.